Elffi is the pride of Finnish cosplay. The 23 year-old, who is currently studying business management, represented his country at the World Cosplay Summit in Japan—which is like the Olympics of cosplay. 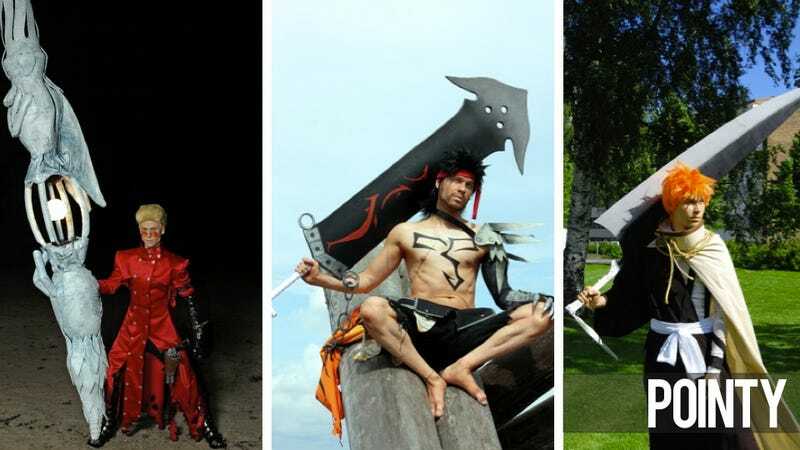 Whether it's Final Fantasy: Dissidia or Bleach, Elffi finds a way to bring these Japanese creations to life by either taking off his shirt or holding a large sword—or both. Have a look through the gallery or check out more of his cosplay work in the gallery below. He makes many of his own costumes as well as those pointy things.